This is it! 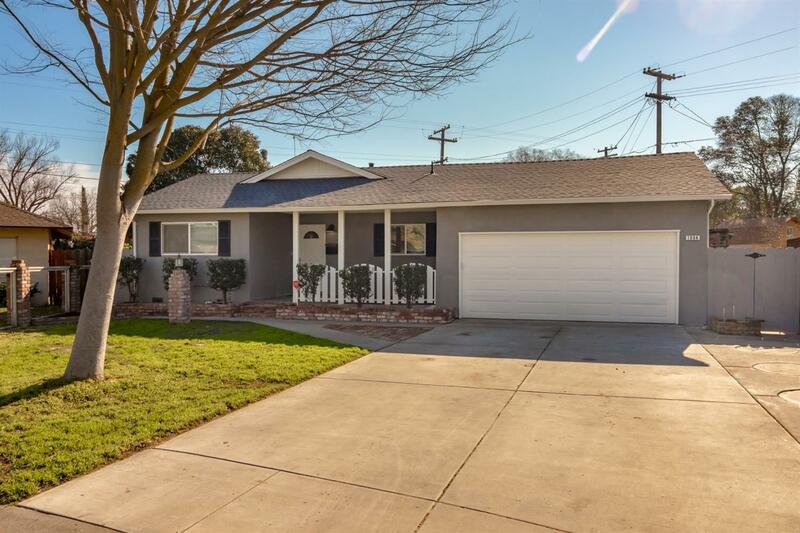 Fully remodeled single story home located on a court! This home has been completely updated. Upgrades include all new dual pane windows, new exterior doors, new roof & gutters, new exterior stucco & interior paint, new central heating & air, new walls (R19) & ceilings (R38), new electrical throughout, new ceiling fans, exhaust fans in both bathrooms w/auto sensor. Kitchen has all new cabinets, quartz counters, stainless steel appliances & pantry closet. Both bathrooms have been full updated with classic subway tile. New garage door & opener. Indoor laundry room w/extra cabinets & folding counter. All new Luxury Vinyl Plank flooring throughout the home and new carpet in the living room that has a wood burning fireplace. Multiple closets & cabinets in the hallway provide an abundance of storage. Large backyard with covered patio. Double gate allows for possible RV or boat access. This home is one of a kind and truly move in ready! !